The minute I heard this song, I automatically loved it. 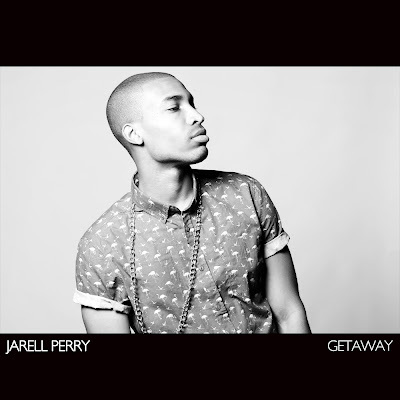 From his upcoming album 'Simple Things', Jarell Perry presents his latest heart-pounding single 'Getaway'. Perry is not a new name to the industry as he has worked with Chris Brown, Diplo, Rusko, Thurz, and a few more under his belt says: "It's one of my most emotional pieces yet - inspired by life as I'm living it - and I'm hyped for the world to hear it." I'm hyped for the world to hear it too, pure talent coming from this guys vocals - I look forward to hearing some new R&B music from his anticipated album 'Simple Things'. 'Getaway' is a soaring R&B performance that crescendoes into an explosion of emotion and longing. Riding along the warm currents of Jarell's undeniable vocal stylings, the Hassan-produced track combines the cold reality of modern love into a perfect storm of heart and soul.